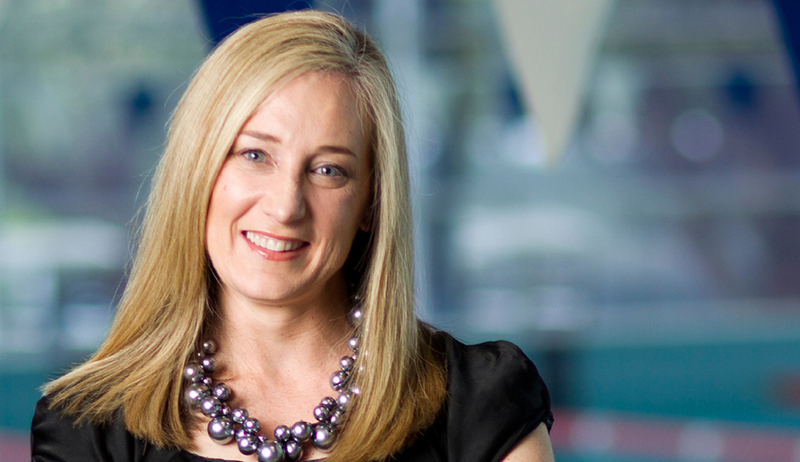 It may surprise many people to learn that Kristen Green, executive general manager of Aquafit in South West Sydney, Australia, didn’t have a strong role model while growing up. After losing her mother to ALS at just 11 years old, Green felt she had no clear sense of what she wanted to do with her life. And, while she could have spent time dwelling on the things she didn’t have, she chose, instead, to focus her energy on becoming the best version of herself. Today, as a successful leader and the recipient of the 2018 IHRSA Woman Leader Award in honor of Julie Main, Green has become the type of role model that she didn’t have when she was younger. We spoke to her about personal adversity, professional development, and being a role model for aspiring women leaders in the fitness industry. 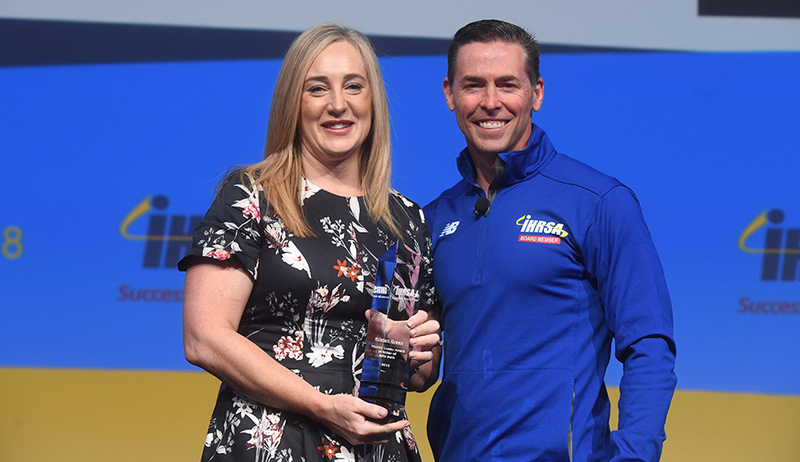 IHRSA’s Woman Leader Award recognizes a woman in the industry who, like Julie Main, exemplifies courage, perseverance, excellence and professionalism. What does it mean to you to be recognized as the 2018 recipient? I am truly humbled and honoured to be the 2018 recipient of IHRSA's Woman Leader Award in honor of Julie Main. I am especially privileged to be the first Australian woman to receive this recognition. It is my hope that, through my own story, I can inspire, empower, and motivate other women on their own journey to achieve their professional goals. You have said that you owe your professional success, in large part, to the personal adversity you experienced growing up. Can you tell us more about that? I am confident in my ability and my professional path today, but this wasn’t always the case. My mother died when I was just 11, after suffering ALS for nine of those years. I lacked a positive role model who could tell me that I could be anything I wanted to be, that anything was possible if I believed in myself. I had no clear sense of what I wanted to do with my life. Despite this, I was determined. I was determined to be something different and to be the best version of myself. The opportunity and clarity came to me in the early 1990s. I was good at business, and I loved the fitness industry. When the opportunity arose to own a small run-down gym, I knew then that my professional goal was to educate myself, manage a large fitness center with a focus on excellence and quality, and become an influential and inspiring leader to help shape the fitness industry. In addition to earning a Bachelor of Sports Science degree, you’ve recently completed your MBA with distinction. How has your commitment to professional development played a role in your success? Being personally committed to continuing professional development ensures that I have the best opportunity to make a meaningful contribution to my team and the fitness industry. It enables me to remain relevant, up-to-date, and aware of trends in the face of rapid change and disruption. Most importantly, my commitment to professional development has helped me to advance my career and grow personally through opportunities to lead, manage, influence, coach, and mentor. I have attended IHRSA’s Annual International Convention & Trade Show every year since 2005 and been a panelist on several occasions. In 2014 and 2017 I attended The IHRSA Institute in North Carolina. These experiences have been a major influencer on my ability to gain valuable educational insights and stay abreast of industry trends, to develop strategy, and develop and grow the business and my team. As General Manager of Aquafit since it opened in 2004, you have created one of the leading health and fitness clubs in Australia—winner of multiple industry and community and awards. What community initiative at the club are you most proud of? I am most proud of Aquafit’s “Living Stronger” program for people over 55. We developed the program in 2007 to address the fitness and wellness needs of an older population in our community. The goal of the program is to help participants build muscle mass, increase bone density, increase strength, and improve gait, balance, flexibility, and coordination. We have seen a number of members come back from major injuries and illnesses like heart attacks, spinal surgery, and degenerative conditions such as fibromyalgia, and as a result of continued exercise and education they have been able to sustain a great quality of life. We have been able to develop a culture where training for older adults is a necessity for healthy aging and such is their peer-to-peer support, that many express that all they want to do after injury or illness is get back to Aquafit. Tell us about your commitment to helping others grow professionally. I strive to give others the personal support, mentoring, and opportunity that I never had in my early career, by sharing my knowledge and experience. I believe it is my responsibility to develop and grow my team as leaders, and as such, I lead by example as a positive role model. In doing so, I demonstrate the importance of engaging in volunteerism and giving back to our industry and local community. I have been told that my role on the Board of Fitness Australia has inspired other women to pursue their own professional ambitions at the executive level.